Ear piercing is a common cosmetic procedure that can be done at almost any age. While many jewelry stores offer the procedure, to ensure maximum safety, it’s a good idea to have your child’s procedure performed by a medical professional. 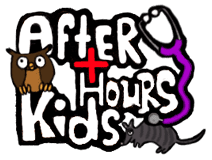 After Hours Kids in Austin, Texas offers safe, hygienic ear piercing, along with detailed guidelines on after-care to ensure your child’s earlobe doesn’t become irritated or infected. Due to several of our Nurse Practitioners out on maternity leave, there will be a temporary pause in our Ear Piercing Service. Please contact us after October 20th, when we will resume this service. Thank you for your understanding. Due to several of our Nurse Practitioners out on maternity leave, there will be a temporary pause in our Ear Piercing Service. Please contact us after October 20th, when we will resume this service. Thank you for your understanding. How old should my child be for ear piercing? Infants over the age of four months can safely have their ears pierced. 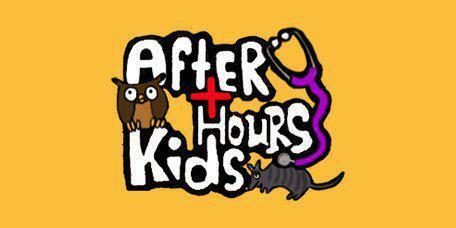 After Hours Kids will pierce infants ears aged 4 months-8 months or girls 8 years old and older. As a parent, you want to consider your child’s level of maturity and personal responsibility to determine the right age for cosmetic ear piercing. If your daughter is under 8 years of age and is very excited about ear piercing and you think she will handle it well (we pierce one ear at a time), please call our clinic prior to making an appointment. What happens during ear piercing? Ear piercing is a quick procedure, especially when performed at After Hours Kids. First, a Registered Nurse will use a sterile pen to mark where the piercing will be on the earlobe. Once parents approve of the ear markings, the Pediatric Nurse Practitioner will come in and use a disinfectant to clean the ear lobe to minimize the possibility of infection. Then, the Pediatric Nurse Practitioner uses a piercing instrument to pierce each ear. For older children, the piercing procedure lasts less than five minutes. For infants, it can take several minutes to mark ears, but the piercing is quick. What types of metals are used for ear piercing? Hypoallergenic metals like 24K gold plated and stainless steel earrings are used for piercings since they are the least likely to result in allergic reactions. One metal to avoid is nickel, since it has been shown to have a much higher incidence of allergic reactions. After Hours Kids uses 24K gold plated earrings for infants and young children. Older children have the choice of stainless steel posts or 24K gold plated posts. What after care is needed for ear piercing? After the piercing, you or your child will need to dab the area around the piercing with rubbing alcohol and a cotton swab three times a day for 6 weeks. You’ll also need to rotate the earrings gently three times a day to prevent embedding of the earring into the earlobe. While your child may be excited to try out new earring styles as soon as possible, keep in mind the earrings used during the piercing shouldn’t be removed for six weeks. After 6 weeks, the piercing is well established and the earrings can be changed. Also, after bathing or swimming, it is important to cleanse ears with alcohol. For the first 24 hours, it is normal for the earlobe to be painful, red and swollen. After 24 hours, if the earlobe becomes swollen, red or tender, this can be a sign of infection and the Pediatric Nurse Practitioner should evaluate the earlobe. The total cost for ear piercing for your daughter is $52.14 (including tax).